Can you believe it is already the second weekend in March?! Time is absolutely flying in 2015 and I don&apos;t know about you, but I&apos;m not a fan. The only good thing about the days moving forward is that we are only a week and half away from the first day of Spring! Finally, the sun can make some appearances and melt away all of this snow. So get out and enjoy the sunshine this weekend in Loudoun at all of the great events going on. We’ve highlighted a few options and be sure to Instagram, Tweet and share your experience in Loudoun with us by tagging @VisitLoudoun and using #LoveLoudoun or #LoCoVA ! It’s the ‘70s at Oatlands Historic House and Gardens, and disco rules the charts. You’re boogying at the coolest place in town -- Club 69. 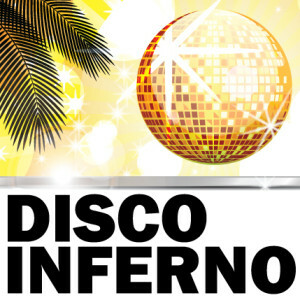 A fire breaks out and the place burns to the ground in a hot disco inferno. Everyone inside perishes…including you. But now you’ve returned from the grave for one last dance – and a chance to find what really happened that fateful night. Join us as disco rules again during an evening of mystery, romance and hip-thrusting hot dance moves. Check out their website and listing to get information about tickets! This event is led by Sunset Hills Vineyard winemaker, Nate Walsh, who will show you how to create award-winning wines. Our barrel ageing red wines are fantastic, and you get an early opportunity to taste, blend, and take them home. Some of our most popular varietals will be out for you to taste, analyze and measure for your custom wine. Once you make your blend, and are happy with your work, we will bottle YOUR personal blend just for you! Follow the link for ticket information! 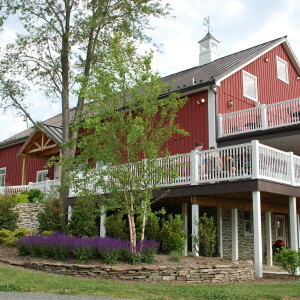 Come help Willowcroft Vineyards celebrate early St. Paddy’s Day with delicious seafood provided by Lobster Maine-ia. They will offer Lobster Rolls, Lobster Bisque or New England Chowda, Steamed Lobster with butter and a side. Prices range from $13 to $20 per dish. No reservations needed. Available while food lasts. 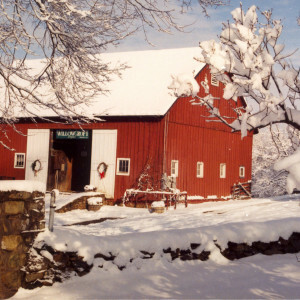 We have a charming, rustic barn you just have to see.